Internet people are always looking for means to have fun. Downtweet, a simple yet advanced Twitter widget, is now ready to provide a new stream of entertainment. Downtweet can also be embedded to blogs to increase their visibility. If, by some chance, a great external force takes down the Internet, the world will cringe in pain. Information delivery will stop, affecting all facets of entertainment and communication. Many people are hungry for entertainment, and this imminent market need became the premise of a Twitter application known as Downtweet. Downtweet is one of the advanced widgets in the Internet today. It is advanced, not in mechanics, but in the way that it reaches out to people. There are many widgets out there operating on the same premise, but their connecting power is lower than Downtweet. 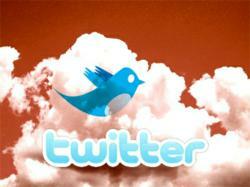 Bloggers who used Downtweet refer to it as a universal Twitter search engine. In Downtweet, users can search for tweets that are entertaining and optional at the same time. To start, a user must search categories in the current active panels. The stream will display tweets related to the selected category in under few seconds. Information delivery through Downtweet is fast and reliable. Some of the famous tweet categories in Downtweet are news, technology, gossip, business, food, comedy, boxing, fashion, and many more. These tweets have varying popularities and web sources. One category may have different numbers of outlying sources from another. This proves that Downtweet is an entertainment and information tool, all rolled into one. Basically, Downtweet targets the passive users of Twitter. These users are passive in a way that they don’t care much if they have little followers. They also don’t tweet on a regular basis. Since Downtweet is a stand alone program, people can start using it instantly. Blog installation is not mandatory, but it is a wise move for starting bloggers. Once Downtweet is embedded in any blog, its connecting power is on the double. It has been proven that Downtweet brings a moderate to high spike of visibility in just few weeks. Visitors who search tweets also have tendencies to stay longer in the blog or website. Since they are also entertained, these users keep coming back. For more information, new users should go to http://www.downtweet.com.